The post Breath Therapeutics launches Ph3 trial for inhaled liposomal cyclosporine A therapy appeared first on MassDevice. The post Novartis launches COPD inhalers in China appeared first on MassDevice. Royal Philips (NYSE:PHG) yesterday released results from a study exploring the use of adaptive servo ventilation in treating patients with complex sleep apnea. Results from the study were published in the American Journal of Respiratory and Critical Care Medicine, the Amsterdam-based company said. Investigators in the study compared the performance of four different ASV devices, including Philips’ DreamStation BiPap autoSV, as well as an ASV device originally associated with greater mortality during the SERVE-HF trial published in 2015, the company said. “The pursuit for scientific understanding of various disease and treatment processes is an iterative process where we revisit successes and failures to deepen our understanding of disease processes. It’s imperative we keep this in mind and re-visit previous studies when technological advancements show promise for a certain type of therapy. Today, ASV isn’t used in certain clinical settings due to safety concerns associated with the therapy in patients with congestive heart failure and predominantly central sleep apnea. Now, through devices with smarter algorithms, providers can potentially ensure that patients are getting the right treatment and thereby improve treatment approaches in patients with complex or central sleep apnea,” lead study investigator Dr. Sairam Parthasarathy of the University of Arizona College of Medicine said in a prepared statement. Data from the new trial suggests that certain physiological performances were different across different devices, and that the mechanisms underlying adverse effects of ASV may be secondary to excessive ventilation due to device-based effect rather than a class-effect, Philips said. 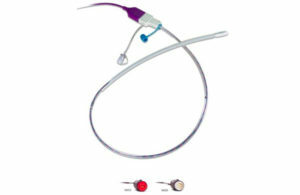 “Philips provides healthcare professionals and patients with innovative treatment solutions and services. The safety of patients who use our devices is our top priority. We also wish to maximize the benefits that patients receive from using our technology. As a science company, we are obligated to understand why and how ASV in the SERVE-HF trial can be associated with increased risk of mortality in patients with central sleep apnea and severe heart failure. Future research is needed to confirm if excessive ventilation during wakefulness and sleep due to device-specific ASV algorithms can result in potentially life-threatening consequences, especially in patients with heart failure,” Philips chief medical liaison Dr. Teofilo Lee-Chiong said in a press release. Earlier this month, Carestream Health said that it agreed to deal its imaging IT business to Philips for an undisclosed amount. The post Philips touts adaptive servo ventilation sleep apnea study data appeared first on MassDevice. ResMed (NYSE:RMD) said today that it bought Korean home healthcare equipment supplier HB Healthcare for an undisclosed amount. “We’re excited to join the ResMed family and, together, help provide life-changing, cloud-connectable devices to millions of Koreans living with sleep apnea, COPD and other chronic diseases,” added HB Healthcare patient management director Hong Seung Chul. The post ResMed buys Korean home healthcare supplier HB Healthcare appeared first on MassDevice. 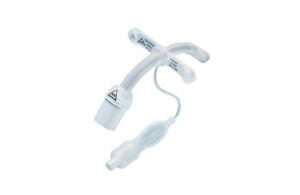 ResMed (NYSE:RMD) subsidiary Propeller Health today released results from a new study exploring real-world use of rescue or controller inhalers that indicated that the majority of users did not use their inhalers properly. Results from the research were published in The Journal of Allergy and Clinical Immunology: In Practice, the Madison, Wisc.-based company said. The post Propeller Health study suggests 84% of asthma inhaler use performed incorrectly appeared first on MassDevice. ARS Pharmaceuticals said this week that it won fast track status from the FDA for its investigational intranasal epinephrine spray, ARS-1. The San Diego, Calif.-based company’s device is designed to be an easy-to-use treatment for people suffering from severe allergic reactions to food, drugs and insect bites. The post ARS Pharmaceuticals wins fast track status for epinephrine nasal spray appeared first on MassDevice. The score takes into account variables including age, gender, sleep disorders, chronic heart failure and opioid naïvety. During the Prodigy study, it identified more than three-fourths of patients with confirmed respiratory depression. Overall, opioid-induced respiratory depression occurred in nearly half of the patients in the study. “Clinical evidence shows that acute and unexpected respiratory compromise on the general care floor is increasingly common. Until now, we have not been successful in predicting which patients are at high risk when recovering on the general care floor,” said Dr. Ashish Khanna, the primary study investigator and an associate professor of anesthesiology and intensivist at the Wake Forest School of Medicine. “These data validate an easy-to-use [opioid-induced respiratory depression] risk prediction tool to identify patients at the highest risk and guide early intervention using continuous capnography-based monitoring. Early identification and intervention in these high-risk patients has the potential to improve patient safety and decrease the economic and clinical burden of unplanned ICU admissions,” Khanna said in a news release. 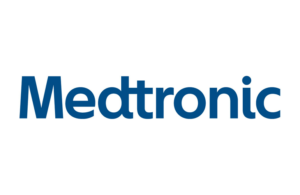 Opioid-induced respiratory depression is a “common, costly and deadly but preventable condition,” and Medtronic through the Prodigy study is committed to help, said Vafa Jamali, SVP and president of the Medtronic’s respiratory, gastrointestinal and informatics business. The post Medtronic risk prediction tool could help prevent opioid deaths: Here’s how appeared first on MassDevice.